Mori Building Co., Ltd. is an urban developer which pursues three missions in creating cities: “Safety and Security”, “Environment and Greenery”, and “Culture and Art”. Regarding “Culture and Art”, we believe that a cultural element is important to increase the well-being of humanity, to promote communication and to foster vision for the future. Based on the concept of “Cultural Heart of the City”, Roppongi Hills which opened in 2003 was developed to become a city that attracts people from around the world. Symbolizing the town's role as the heart of culture, the upper floors of the main tower are devoted to a cultural complex run by Mori Building, including a museum, an observation deck, a private membership club, and an educational institution in which Academyhills comes into play. “Art and Culture” is the food for the mind and the heart of human beings, and it serves as a magnet to attract people to a city. Creativity is the driving force of a knowledge and the information industry that leads the Japanese economy. Inspiration, diverse encounters, exchanges, interaction and collaboration …in order to boost creativity, we need an environment allowing people to have easy access to leading artists’ work while providing a place promoting diverse encounters, exchanges, interaction and collaboration. Thus serving as the symbol of Roppongi Hills’ cultural aspect, Academyhills continues to provide business professionals with a place for intellectual activities and further expands its activities to other locations such as Toranomon Hills and ARK Hills. The history of Academyhills goes back to the opening of “ARK Toshijuku” (private educational institution) in 1988, which was Mori Building’s first academically oriented project. When ARK Hills opened in 1986, it attracted attention as Japan’s first large-scale private redevelopment project and the adult school was located there. The reason behind this is related to the background of the founder of the company, Taikichiro Mori, who was a university professor before going into the real estate business. At a time when there were few places to learn after graduating from college, ARK Toshijuku began 6-month evening programs including courses to study urban planning, fashion and new media targeting business professionals in the fourth basement of ARK Mori Building. In 1996, ARK Toshijuku changed its name to “Academyhills” and moved to the 36th floor of the same building while expanding after launching new programs to study internet and business management. Seeking to create cities that not only support businesses but also provide time to enjoy culture and restore nature to the urban environment, ARK Hills became a model of a mixed-use redevelopment project as well as a model bringing the “living” and “working” environments closer together. Combining offices, residences, a concert hall, a hotel, restaurants, shops, a private club and a continuing education institution for adults, added a new flavor to the city. ARK Hills was conceived to foster both economic and cultural activities and has become a center where people gather for diverse objectives. The company’s exploration at ARK Hills evolved into the new redevelopment concept “Cultural Heart of the City” which was then realized in the Roppongi Hills project. 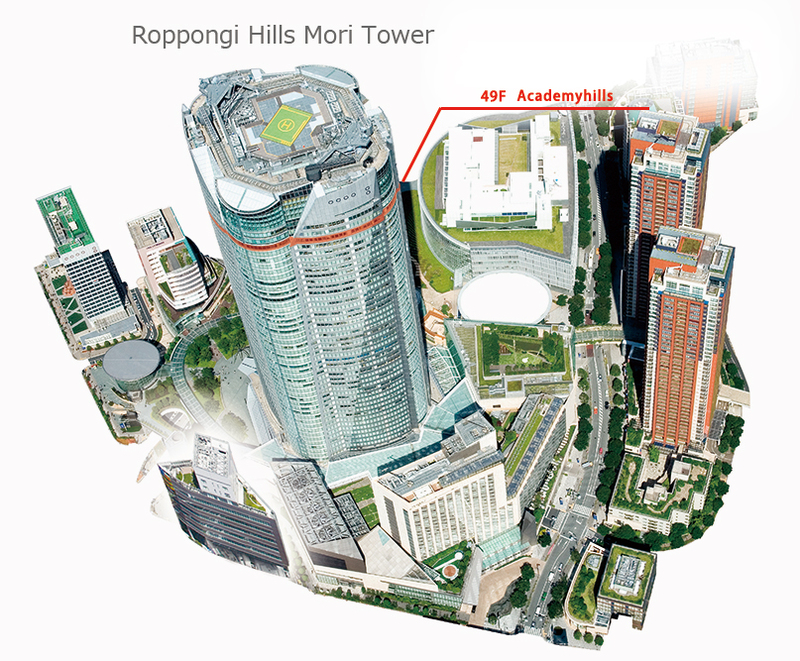 Along with the opening of Roppongi Hills in 2003, Academyhills relocated there on the 49th floor of the main tower and expanded functions after opening a membership library and a conference facility in addition to the existing school. (ARK Toshijuku was finished in March 2007). At present, “Academyhills School” conducts programs for business professionals ranging from one-off seminars to long-term programs that amount to 100 sessions in total per year with the number of participants totaling 10,000. The membership library called “Roppongi Library” now has about 3,000 members while the conference facility “Roppongi Forum” has become a conference center for as many as 1,000 meetings and events per year with a total of 85,000 people attending. Truth is a lifelong pursuit and learning is a lifelong activity. Nevertheless, while the present education system demands intensive efforts at the very beginning of our lives, it offers little opportunity for learning thereafter. As we move from an industrial-based society which placed emphasis on the production of material wealth, to an information-based one which values knowledge-creation, a complete turnaround in ideas is required from the conventional passive education to active learning, and from disseminating uniform information to creating original information. 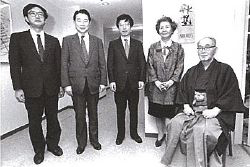 Against the backdrop of these social changes, ARK Toshijuku was established to provide unique learning opportunities for people with a frontier spirit who are willing to lead the society of the new era. The significance of ARK Toshijuku is that it was established in ARK Hills, which is the symbol of a modern city. It is our hope that ARK Tohijuku will produce quality graduates through active learning and diverse exchanges to contribute to the advancement of the world.